The evolution of LED technology has led to a host of new applications, and as the technology gets better, it seems as if LED torches are taking over from the traditional torches at a higher rate. 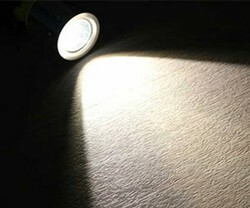 This post aims to discuss some of the benefits and limitations of LED torches in comparison to halogen torches and flashlights. This energy efficiency also means that flashlights can be designed for smaller batteries, resulting in smaller flashlight cases needed to light up the same area as with traditional torches. One of the main things holding LED flashlights back in the past, has been the limitation of the amount of light they can emit. Previously, the LED technology has resulted in the light emitting diodes creating too much heat, meaning that the casings needed to have sufficient cooling to avoid the diodes overheating. As the technology has advanced, we are now starting to see more and more powerful LED torches on the market to rival the super bright traditional flashlights. The LED Flashlight Store for instance, is retailing a torch emitting 13,000 lumen, which can light up to 300 meters. What is lumen I hear you say? Lumen is a method of describing the amount of light emitted from a light source. It is a better measurement for lighting capabilities than Watt, which is a measurement of electric power. The color the flashlights emit is also an important consideration. Whereas we are accustomed to living with the yellow light indoors that incandescent light bulbs emit, the white light is far superior when illuminating a path outside. LED flashlights normally emit cool white light, whereas traditional torches emit a yellow light that is not as illuminating. Whereas the best halogen lamps can claim to last up to 2000 hours, LED torches claim to last up to 50,000 hours. What they fail to mention here, is that it is the LED’s that are designed to last that long. It does not matter how long the LED’s last, if the rest of the technology is not designed to last that long. In fact, the electric circuits are more likely to burn out well before the expiration of the LEDs. But at the end of the day, it is no doubt that LED’s are more likely to outlast the halogen bulbs. On the other hand, when the Light Emitting Diodes have burnt out, changing them is far more complex than changing a halogen or traditional bulb. You are more likely to dispense of the whole flashlight than replace the LEDs. Electric Chainsaws - Any Good? Electric chainsaws have their drawbacks. Are they just toys or can they be used in the real world. Every fall, my husband and I have the same conversation. Should we hire a company to plow our driveway this year or should we buy a snow blower?